We’re delighted to be working with Robert Vincent for the first time! 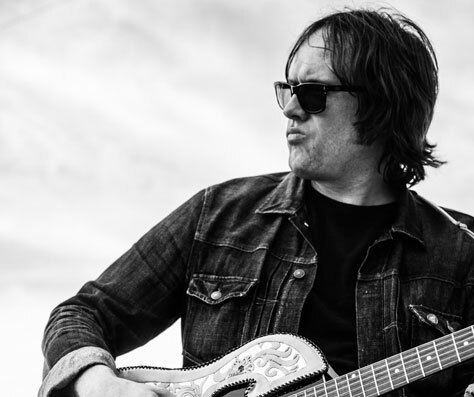 Robert Vincent is an award-winning singer/songwriter from Liverpool – having received the inaugural Emerging Artist Award from ‘Whispering’ Bob Harris in 2016 and UK Americana Music Association’s UK Album of The Year in 2018. Seeing him play at the Bluebird Café’s Bluecoat event, the legendary broadcaster immediately invited Robert to record an Under The Apple Tree Session in his home studio and for his BBC Radio 2 Country show – describing him as ‘absolutely magnetic’. In 2013, he released his debut album, Life In Easy Steps – with the title track receiving national airplay from Janice Long and Radcliffe & Maconie – and he’s subsequently toured the UK supporting Paul Carrack, James Blunt, Squeeze, plus The Pretenders at Royal Albert Hall. Recorded in his hometown and mixed in Nashville by Grammy Award-winning producer Ray Kennedy, his second full-length release I’ll Make The Most of My Sins sees him cited by the Guardian as one the UK’s top Americana artists. Robert hit the road in Spring for his Hearts of Glass Tour supporting Grammy-nominated singer/songwriter Beth Nielsen Chapman and closed the show with his performance on The Old Grey Whistle Test: For One Night Only on BBC 4. This Summer, he’s been on the supporting bill for his hero Roger Waters in Hyde Park at British Summer Time and will join ‘The Titan of Twang’ Duane Eddy across UK on his 80th birthday tour in October. Tour support comes from The Kimberleys. With a life long history of involvement in and on the borders of folk, The Kimberleys have developed a sound which is both true to the tradition and refreshingly original. Great folk anthems such as Tam Lin and Elsie Marley retain their familiarity, but with fresh and vital arrangements they shine like new pennies recalling the excitement of folk revival greats such as Fairport Convention and Pentangle.